The global phosphatidylserine market is gaining traction, owing to the convenience it provides to older individuals for improving memory. Phosphatidylserine is a compound derived from amino acid which is very similar to a dietary fat. This dietary fat is highly found in humans’ neural tissue. Phosphatidylserine can be found in the form of white or light yellow loose powder and also sometimes can be obtained in liquid state. This amino acid derivative compound is highly crucial for various cognitive functions. Phosphatidylserine can be naturally found from cabbage and soy derivatives and extensively used as a functional food or important dietary supplement. 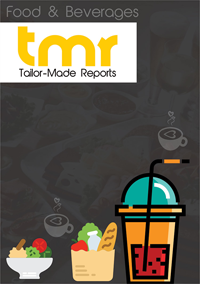 A report on the global phosphatidylserine market to be added to the vast repository of TMR Research presents thorough information on it. The report could be a valuable guideline for major stakeholders in the market. This study has been carried out through an in-depth primary and secondary research. The report can help players gain knowledge about the opportunities and pitfalls in the phosphatidylserine market, so that they can take informed decisions. The report also highlights growth drivers and restraints in the global phosphatidylserine market. Phosphatidylserine supplements are highly useful for fighting various age-related cognitive declines such as Alzheimer’s and dementia. Such compound is also widely adopted as a reliable and safe remedy in healthcare industry due to its efficacy in treating various neurological disorders such as ADHD (Attention deficit hyperactivity disorder). Such USPs are believed to be driving the global phosphatidylserine market. Rising population suffering from cognitive impairment, and growing demand for natural products in enhancing cognitive functionalities are also the major factors expected to fuel demand in the global phosphatidylserine market. Furthermore, phosphatidylserine is considered as an ideal solution for brain health. Moreover, compared to other available products, phosphatidylserine offers more clinically-proven long-term health benefits. Rising consumer adherence to healthy diets, and growing demand for cognitive well-being are also expected to boost the global phosphatidylserine market. Phosphatidylserine is naturally present in various animals and plants such as Antarctic mackerel, cows, fish roe, sunflower, and krill oil. Such compound is mainly synthesized in the human brain, and helps in transporting neural signals along with protecting neural tissues. Rapid lifestyle change, growing people’s inclination towards healthy lifestyle, and increasing consumer demand for foods with multifarious health benefits are also projected to propel growth in the global phosphatidylserine market. However, high costs and low availability of phosphatidylserine may hinder the growth of the global phosphatidylserine market. Nonetheless, such deterrents may not impact the momentum expected in the global lateral epicondylitis treatment market in the near term. At present, the demand for organic phosphatidylserine is rising day by day due to its multipronged health benefits. Such compound is extensively used in multiple varieties of functional foods such as breakfast cereals, processed fruit juice, and nutritional bars. Apart from healthcare industry, organic phosphatidylserine is also highly adopted in various end-use industries such as cosmetic industry. Growing demand for slowdown skin aging, and rising need for potential moisturizer is expected to fuel demand of phosphatidylserine in the cosmetic industry, which in turn is anticipated to boost the global phosphatidylserine market. Geographically, Asia Pacific is expected to lead the global phosphatidylserine market as the region has seen rapid establishment of food manufacturers. The prominent country in this region is China. Large food market, rapid establishment of local brands, and rapid advancements of phosphatidylserine production technology could also be responsible for fueling phosphatidylserine market in this country. Some of the prominent players operating in the global phosphatidylserine market are Lipoid, Chemi Nutra, Enzymotec, Lonza, Sino Herb, Novastell, and BHN.